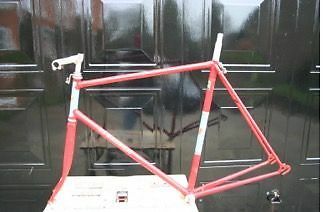 This is my third R.E.W Reynolds and like the previous two it is a big sized frame at 23.5” so rather on the larger size for me or at least that is what I thought at first sight when I picked the frame up . 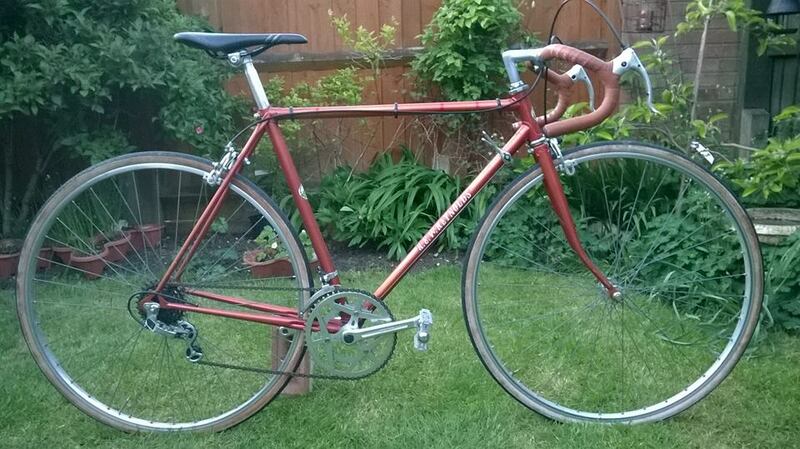 The previous owners family have slowly been selling a deceased family members bikes off and this was the second one of his I had looked at. The previous one was listed up for sale earlier in the year and was a real retro lightweight machine that rather sadly had suffered over the years of use and then its forced retirement had taken its toll on the paintwork unfortunately , I decided against trying to buy that one as for my liking it was rather over priced . So when this frameset and associated parts came up recently I decided to have a go and see what happens . On collection of the frame I was pleasantly surprised by its general condition being fairly good , ok there are a few age related marks on the paintwork some of which have a light rust covering on but these all add up to a nice patena . There is enough of the decals to see the company name and its logo is nicely in place as well . 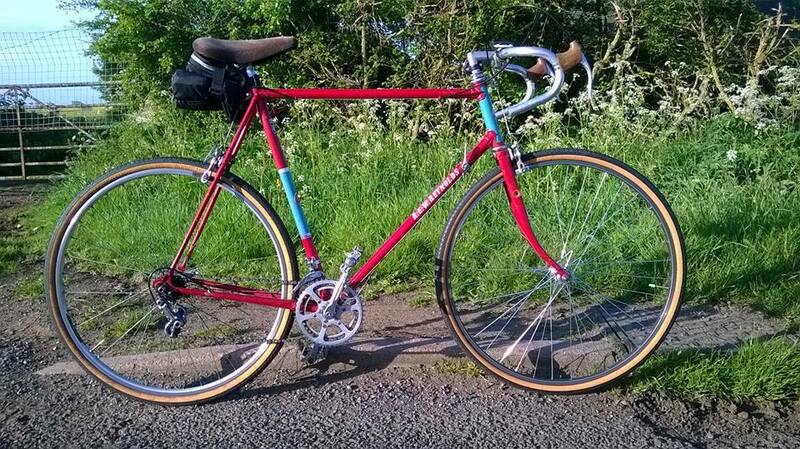 The frame is made up with Pheonix 101 tubing so not the lightest one on the market . 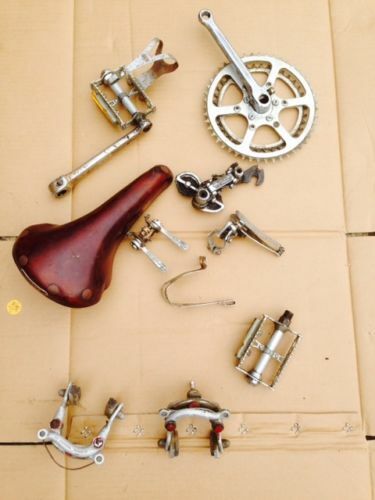 It came with most of the parts to make a complete bike apart from the wheels , chain and cables . So this gave me my first query as to either go for a set of 27” wheels or to see if the calipers supplied had enough drop to allow the fitment of 700 sized wheels , once the calipers were attached to the frame I offered a set of 700c wheels up and to my surprise the pads were already set at this position so I can only presume it had run 700 sized wheels previously and this made my decision even easier as I had no suitable 27” wheels for this build . As the drop out width was only 120 mm compared to the more regular 126mm I chose a pr of unmatched used stock wheels from my collection for the initial build complete with 700 x 32 Michelin World Tour tyres. I was slightly concerned if they would look a bit lost in the rear half of the frame but I soon found that this combination of tyres and rims gave the same rolling circumference as 27 x 1 ¼ units . Both the bottom bracket and headset units were able to be cleaned and reassembled without the need for newer replacements and both were in good condition just the upper head set bearings needed a few new balls as there was only 20 fitted . The original brake pads that came with it were really hardened up and would have had the stopping power of next to nothing so these were binned and some new ones fitted along with new inner and outer cables . I decided to fit a more period set of GB Maes Stratalight drop bars over the set of 80’s Sakae world champion bars it came with along with a shorter quill stem . 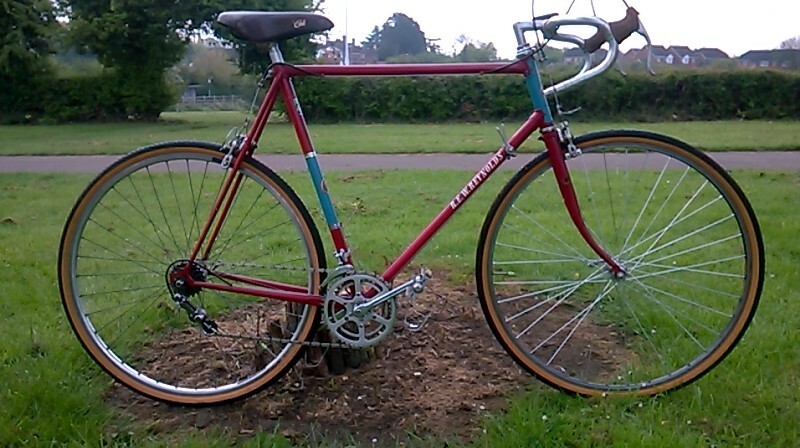 The original supplied cottered steel crank with Stronglight alloy rings and campag mechs and levers were retained and just given a light cleaning along with some new cables and gave me a choice of 10 speed over quite a tight gear ratio range . My first initial test ride was a sedate cycle path adventure and it showed all was working ok and surprisingly nice to ride with a nice nimble feel to the bike . The only thing that gave any concern was the “Brooks” Colt saddle which did not feel remotely comfy at all so this was swapped over for the suede covered saddle shown fitted below . After a weeks worth of doing 8 miles a day on my commuting journeys I was more than happy with the way things were going , I expected the larger sized tyres to feel a bit wallowy and very vague on the road but they feel fine and give a pleasurable ride quality . I decided it was time for some proper road miles so Sunday 17th saw the maiden journey , initially I was only intending to do 10 – 13 miles but all was going well and decided to do the full 20 mile loop and to my surprise at the 10 mile point I was only just a bit slower than the same loop on much more lighter and better equipped bikes . The bike rode well and certainly behaved itself and gave me a very pleasant and enjoyable ride that I look forward to doing again . 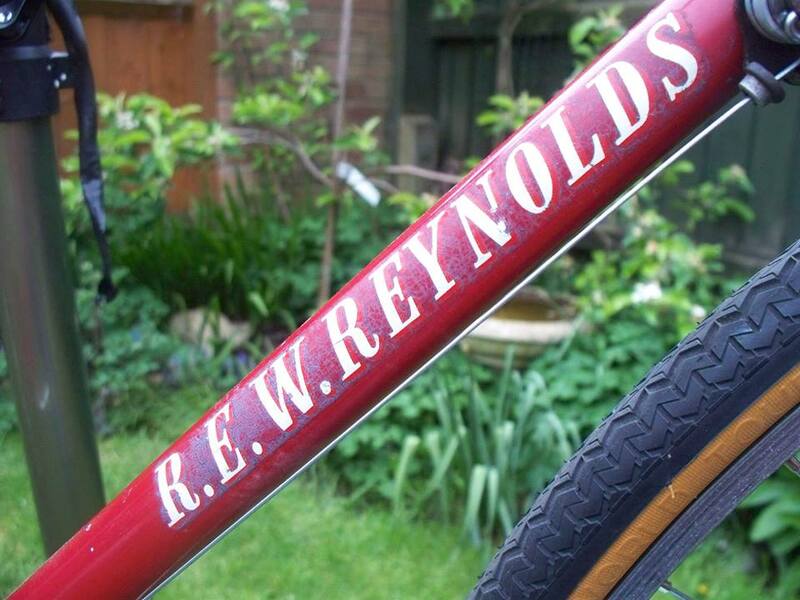 Only last week I picked up a smaller sized R.E.W Reynolds that looks like it has led a very sheltered life and apart from perished tyres and a bit of paint fade , it looks like some fresh grease and some new perishable items should see it up and running again , so will comment at a later stage on this one .